Some people believe that if they work very hard, they will be able to earn a lot of money, while others think that they can earn more with the use of their intelligence. If that were in fact true, labourers would have an abundance of wealth. Moreover, if we could earn money with the use of our intelligence then the chief accountant in a firm would be wealthier than the owner themselves. In reality, money is a result of merit karma. Nature’s law says that if you have accumulated debt, you should keep a strong intention to pay it back before you die. This means that even in such circumstances, you will be able to experience inner peace. On the other hand, if you have lent money to someone, you should do so with the awareness that you have folded all that money in a bundle of black cloth and thrown it in the ocean. What hopes do you have of retrieving something once you throw it in the ocean? Therefore, give without any expectations of any kind, otherwise do not give. If they do not return your money, they do not escape from the court of nature. They will have to pay back the interest as per nature’s law, even after two or three hundred years. Param Pujya Dadashri says that, “Religion must exist in business but business must never exist in religion”. One should conduct business honestly and ethically by applying ethical business practices because ethics are the essence of all worldly interactions. 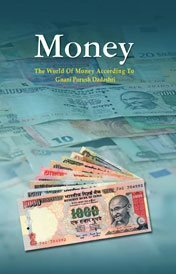 He has given the right understanding on how to deal with money and how to conduct an ethical business in the book “The Science of Money”, which will be helpful to readers in solving their puzzles. People live for two reasons. Only a rare person lives for the Soul. All the rest live for money. Dishonesty is the Best Foolishness. There has to be a limit to foolishness, do you not think so? Ethical practice! 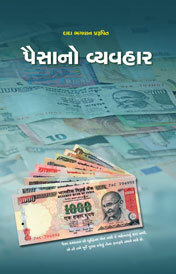 The flow of money may increase or decrease. Never become unethical. Obstacles to money will remain as long as you harbor the desire to earn it. When you become inattentive to money, it will come to you in abundance. 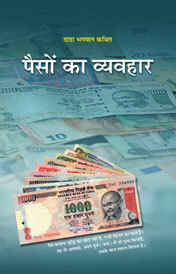 Do not obstruct money if it comes your way and do not go digging for it if it does not. What is the natural law of money ? It says "Do no detain and hoard me. Circulate me. Give away as much as comes your way." Wealth comes your way when you give help to others, not otherwise. Wealth comes to those who have the desire to give. If the money is pure and right, then you will be always at peace and your life will be good. This human life is meant for liberation from anxieties; it is not just for making money.